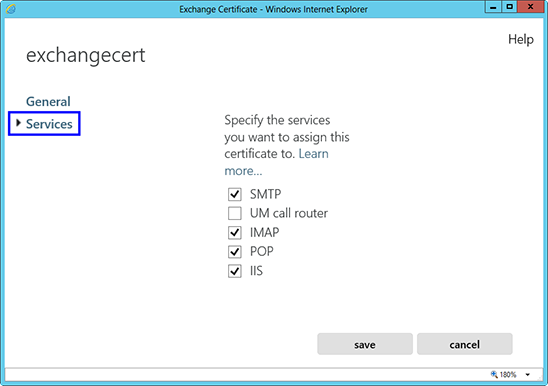 Download and open the ZIP file containing your certificate. 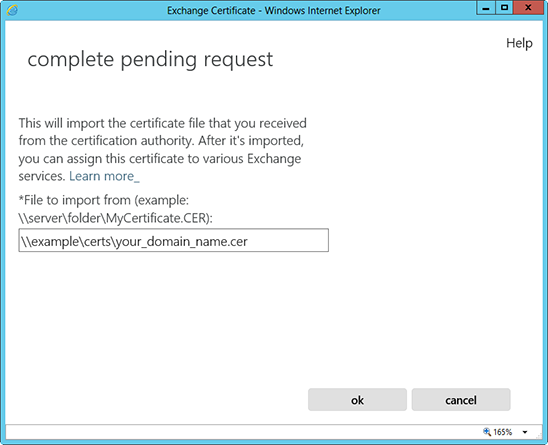 Your certificate file will be named your_domain_name.cer. 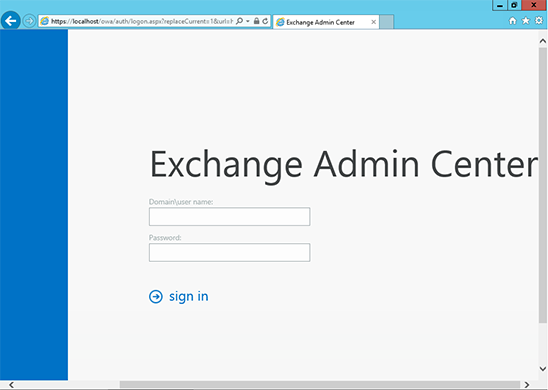 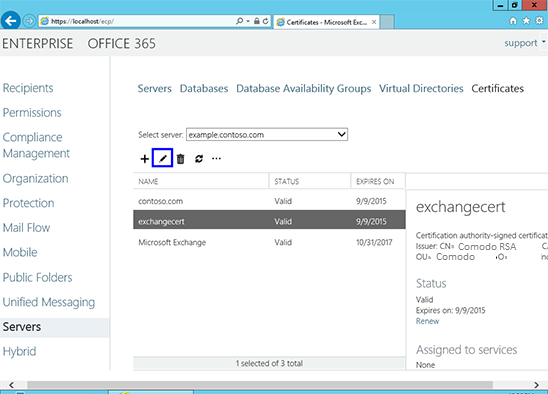 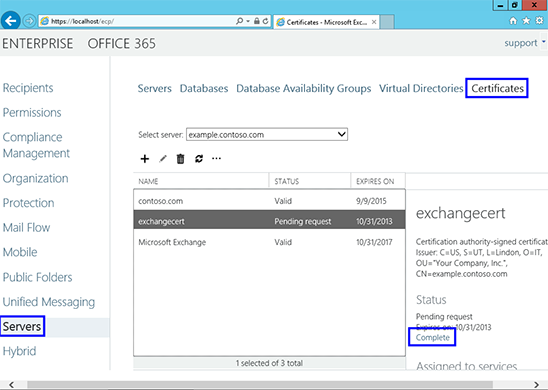 Now, to enable your certificate for use, go back to the Certificates section of the Exchange Admin Center, highlight the certificate you want to use and click the edit button.